Bonseki (盆石; lit., tray rocks) is the ancient Japanese art of creating miniature landscapes on black lacquer trays using white sand, pebbles, and small rocks. Small delicate tools are used in Bonseki such as feathers, small flax brooms, sifters, spoons and wood wedges. 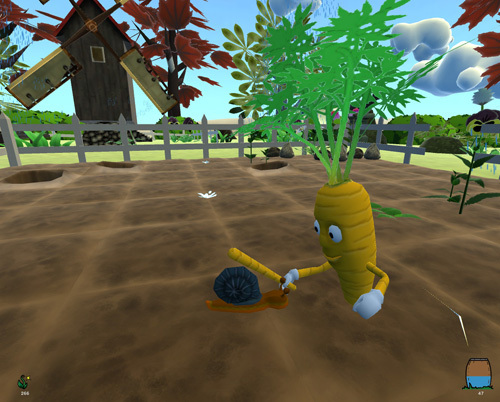 The game involves a garden which needs to be planted full with flowers and vegetables. Placing these elements will generate so called "seki points". 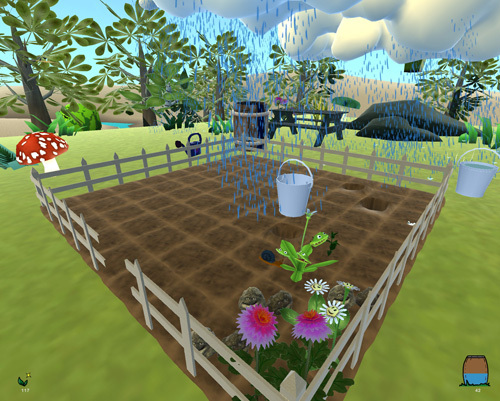 The more points you get, the more the garden will become green and will start to flourish! You can play Bonseki online, by going to this URL: persistentrealities.com/other/bonseki/. 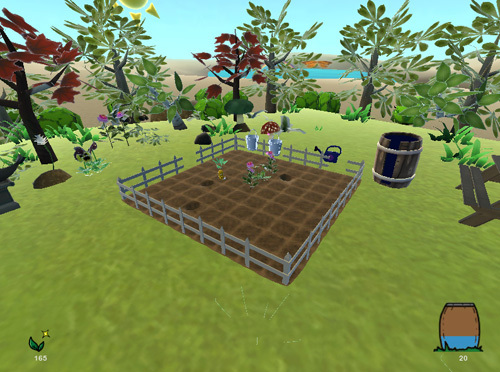 Currently we are redesigning the game to be more appropriate for mobile devices! Unfortunately in the past there was more "after working hours" time available than now, 5 years later. Yet I cannot wait to bring a smile to someone's face by having a big carrot with a carrot club in a game!